Need Insurance or just want to compare to your present policy and perhaps save money? 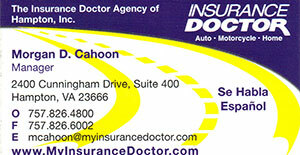 Contact my friend and professional Morgan Cahoon! Let her know you got her contact information from John Figueroa!